Roy Glauber was just eighteen years old when he was selected to leave his studies at Harvard to join the work of the Los Alamos Laboratory on the Manhattan Project. After the war, he would go on to lead a distinguished academic career, receiving the Nobel Prize in Physics in 2005. In this interview, Glauber discusses his interactions with J. Robert Oppenheimer at Los Alamos and later at the Institute for Advanced Study in Princeton. He explains why Oppenheimer was so admired by the scientists at Los Alamos and the qualities that made him an excellent director of the Los Alamos laboratory. Glauber also recalls Oppenheimer’s successes and challenges as director of the Institute for Advanced Study, his interactions with other scientists and mathematicians, and how having his security clearance revoked appeared to have broken him. 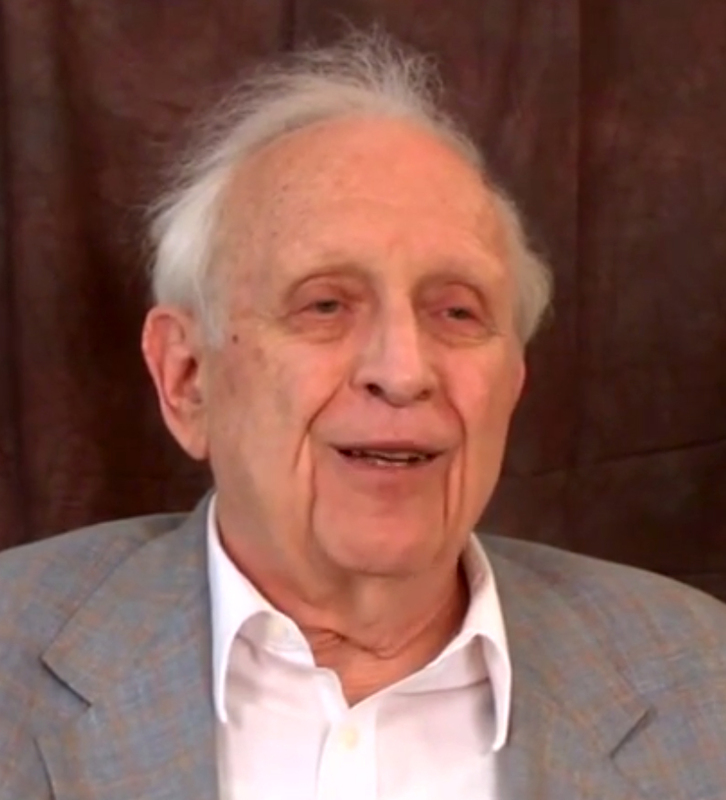 Owen Gingerich: Professor Roy Glauber is a physicist, a physicist who had an early start in physics because when he was still an undergraduate at Harvard, it was during World War II. A mysterious caller knocked on his dormitory door, and asked him if he would want to participate in some unspecified kind of scientific war work. He ended up going to Los Alamos as one of the youngest scientists in that scientific community working to make the atomic bomb. Of course there in Los Alamos, Robert Oppenheimer was the director. Was that the first time that you met Robert Oppenheimer? Roy Glauber: Yes. It was late 1943. I knew very little of him. He was not, at that stage, one of the great names of theoretical physics, but he was an immensely impressive man. One did not have to see very much of him before realizing that he was the leader of the American community of theoretical physicists. Gingerich: Did you see him frequently at Los Alamos? Did you talk with him, or was he just one of those high figures who came flitting past? Glauber: He spoke often. He spoke up from the audience whenever he was in an audience. You could not manage not to notice the man. He was everywhere. His remarks had a uniquely incisive quality. He had a kind of style about him, which certainly set him apart from everyone else at Los Alamos. Gingerich: Tell us a little bit more about the style that distinguished Oppenheimer. Glauber: Perhaps the most notable thing was the way he expressed himself. He addressed all problems from the deepest possible standpoint. He strove for a certain poetry of expression. There were very few simple things that he did not end up making sound rather deep and complicated by that means. But he had a gift of phrase which often inspired us all. Gingerich: I noticed that in looking at the transcript of the hearings when his security clearance was under consideration. The expression was about the two superpowers facing each other “like scorpions in a bottle.” Now you have to have a kind of poetic expression to come up with that in the spur of being questioned. Glauber: I think he may have used that figure before, but it is his, to my knowledge. In any case, he was remarkable in that sense. He was an enormously well-read man, not just in technical terms. You could not speak to him for long without getting the impression that he had read just about everything else as well, and, in fact, more than likely in the original language. I could not mention to him—this was at a later stage—plays I had seen, things I had read, without his telling me, yes, he had read [Jean] Cocteau in French, and so on and on. Gingerich: Now, you saw him over a number of years, first at Los Alamos, and then when he went to Princeton. You also were at the Institute for Advanced Study at some point? Glauber: A few years later, from 1949 through ’51, I was with him at the Institute at Princeton. Then saw him only occasionally in the years following, but fairly often. He found me a position at Caltech in 1952, I guess it was, and visited there occasionally. Then when I came back to Harvard, he was, in fact, on our visiting committee and presently chairman of it, and visited here at times in that context. Gingerich: Was there a substantial difference in his style or his outlook between the Los Alamos period and when he was back in Princeton? Glauber: I do have the impression that that is true, but you have an enormously complex personality in a man like Oppenheimer. He went quite through an evolution. In the years before Los Alamos, he had the freedom to be an intellectual dilettante, to follow his interests wherever they went. To be—in his own words—politically a little irresponsible, to pick up certain views passionately, follow them only has far as he cared, and then drop them. At Los Alamos, he suddenly had an enormous weight of responsibility. Though he was in many ways one of the men you would not pick to be an administrator, though he was scarcely the bureaucratic type, he managed to fill that role remarkably well at Los Alamos, principally because he inspired all of us with his understanding, his sensitivity, and his personality. Gingerich: Who picked him to be the manager there? Glauber: My impression is that General [Leslie R.] Groves, with the upmost reluctance, picked him probably out of the narrowest of patriotic reasons: that there were very few American-born theorists at the time. Among nuclear theorists of that era who had been born in America, Oppenheimer was uniquely and clearly the leader. He was not the sort of person who would have attracted anyone like General Groves in any other terms. Yet Oppenheimer was, as I said, a remarkable leader. He was into everything at Los Alamos. He understood what everyone was doing, occasionally better than the individuals did themselves, and he found unique ways of stating what they were doing in any case, of crystalizing the sense of what was going on in ways that inspired everyone. When Los Alamos was over in 1945, of course he left. He went back first to the University of California at Berkeley. But he was a public figure suddenly of such importance that he could scarcely continue to live the life of a Berkeley professor. He was in demand everywhere. The publications of the day lionized him endlessly. He was the cover story for Time magazine, once for Life magazine another time. There scarcely was a magazine cover that he was not on, in fact, in that period. Officials of all sorts wanted to bask in his presence. When within about another year he moved to the Institute for Advanced Study as its director, there was a steady stream of important personalities who wanted to come and be photographed with Oppenheimer, to be seen near him, to hear his particular wisdom. He became, in that period, a kind of dispenser of wisdom. First, of course, wisdom on matters of nuclear policy, but presently wisdom of all sorts. He became one of the intellectual leaders of that age, there is no question. Gingerich: Now, meanwhile, the pressures for building a hydrogen bomb were beginning to develop. That was while you were also there at the Institute in Princeton? Glauber: Well, in fact, it was long before. The question had always existed: could we construct on Earth anything that would liberate energy as the stars liberate energy, through what were presumed to be thermonuclear reactions. One of the first thoughts about the possibility of an atomic weapon was that it might be used as a kind of trigger for a thermonuclear burning process of some sort. There were people who were working on that during the war. There were people who had no other ambition than to make that work. Edward Teller was one of them. He more or less withdrew from the remainder of the effort to build a fission bomb, as soon as there were plans of any sort on paper for the fission [misspoke: fusion] bomb. He was always thinking far ahead. During the period I was at Los Alamos, virtually the entire time Teller had a group working on what was then called the “Super.” The Super was to be the thermonuclear bomb. It did not look very practical at that time. As a matter of fact, it looked hopelessly impractical. Gingerich: Do you think Oppenheimer’s reluctance about it was more than the impracticality of it at this point? Or did he really have moral scruples about that? Glauber: That is a complex issue. What happened was that, of course, in 1945, the nuclear project wound down. Oppenheimer and Teller left. Teller still had the burning passion to create the Super bomb, and some effort under his direction was continued. Then presently, Teller went back to Los Alamos and resumed the effort. The effort was scaled up over the course of a couple of years, but there was still no great success in designing what would be a practical weapon. There was, I think, a point at which a decision had to be made about whether something should be built, which at that stage looked monstrously impractical, as Oppenheimer put it, I think. At the time at which the vote was taken on whether the project should continue, what they had was not a bomb which could be delivered by an airplane or anything of the sort. It could not be carried on anything smaller than a battleship. It seemed, in his view, not to be a weapon at all, and he certainly justified much of his opinion on that basis. At the same time, there is no doubt that Oppenheimer suffered an intense reaction, a moral reaction, to what had been done at Los Alamos, of the use which had been made of the bomb. He gave, during the late ‘40s, one speech after another expressing the sense of having “known sin,” which is precisely as he put it. I think there is very little doubt that the desire for international control, the hope that this final abomination could somehow be avoided, was also motivating him. Gingerich: At the same time, he had been a considerable leader there at Los Alamos. Now at Princeton, he did not have the same kind of group to lead, and he was interacting with people from outside. To what extent would you compare his role in running the Institute, say, with what had happened with Los Alamos? It must have been quite different. Glauber: It was thoroughly different. The Institute was the first and, in many senses, it is perhaps the greatest of the things we call “think tanks” these days. The Institute began with a faculty that consisted of Albert Einstein and about a dozen of the most famous and accomplished mathematicians in the world. Their job was to sit and think. To do abstract research, in short. Oppenheimer was, during the late ‘40s and all during the ‘50s, presiding over this and trying to be a kind of intellectual leader to these giants. He, within the area of physics, succeeded rather well for a number of years. Gingerich: I have heard it said that he was a better critic than a creator himself of theoretical physics. Glauber: He was certainly a withering critic, quite a telling and effective one. There are a number of things which he did himself, though he rarely wrote them up in a simple or clear way. Oftentimes others, who had about the same ideas but managed to convey them with less obscurity, received more credit than Oppenheimer. He is responsible for a number of fundamental ideas in quantum electrodynamics. That is the name of the field. It deals with electrons and positrons, and their electromagnetic interactions. He was in many ways a seminal thinker, but he does not have a long list of original discoveries to his credit. Gingerich: You have said he was a withering critic. How did he come across to the people that he was criticizing? Glauber: There were different kinds of approaches you might try to make to Oppenheimer. One approach was to go into his office and show him what you were doing. If you tried to make that personal approach, you would be welcomed, but presently confronted with the fact that you were doing exactly what he and a thousand other people had already done. He could cite chapter and verse. There was a kind of defense at work, which was very difficult to overcome. If you could overcome it, if you could persuade him to listen long enough and, in fact, had something original to say, he would become immensely excited. Absolutely euphoric. You would become one of his heroes. Most people did not have that experience. He was right 99% of the time, at least, in saying that whatever it was, was old stuff. That was the personal approach. Alternatively, you might give a lecture with Oppenheimer in the audience. All such lectures were, to a considerable degree, duets. Whoever was speaking would speak his piece, and Oppenheimer would sit and comment on it. Oppenheimer had no tolerance of simple, flat, or very clear statements. Most thoughts seemed to gain a kind of wisdom by being restated in a somewhat more complicated way. Gingerich: I suppose he had a fan club, who came to the colloquia just to hear him take the speakers apart? Glauber: No, I do not think that was really true, because guests were not particularly welcome at the Institute. But he did make all of us into his fan club. We sat there while he freely restated whatever the speaker was saying. The simple and flat statements would come out in beautifully poised and complex statements, which seemed to have infinite depth at times, however trivial the thought was. Gingerich: Some of the speakers must have been completely devastated by this. Glauber: Quite a few were, quite a few were. Oppenheimer was not without his element of arrogance. He did not suffer fools easily. Gingerich: I suppose it is difficult for someone who was that bright, and who caught on to ideas so easily. Did that arrogance spill over with the government officials and other visitors who came to see him? Glauber: I was never present at any of those interviews, so it is difficult to say. But it is also difficult to imagine that it did not. He was certainly capable of being rather sweet and patronizing at times. But I am sure on his frequent visits to Washington, and particularly with his involvement in controversial affairs off all sorts, that he must have felt challenged. I would be amazed, in fact, if he had not managed somehow to insult some of his opponents, and make it evident to them just how little regard he had for them. Glauber: Well, one cannot be certain. I cannot be certain, but I would not be at all surprised. Gingerich: After his security clearance was removed and he went back to Princeton, in the recent film, called The Day After Trinity, he is presented as a broken man. Would you think that as a proper characteristic? Glauber: In a way, yes, but I would have to say I had very little contact with him in that period. He certainly gave that impression. He was far less vigorous, and his very tone of voice was different. He also encountered a great deal of trouble at the Institute in his last years, a virtual insurrection among the mathematicians. Glauber: It had to with the appointments to the Institute, the question of expanding the Institute to include a sociologist. Gingerich: Well, that has, of course, continued to rile the waters at the Institute. Toward the end of his life, was he outspoken as a conscience against the further development of nuclear weapons, or was he still somewhat complex and ambivalent about this? Glauber: I would say complex and ambivalent. There were not very many public statements. I think he did perhaps look forward to a time when he would secure his clearance once more, and resume the influence which he once had. That time, of course, never came. He went to Washington to receive an award from President [Lyndon] Johnson as a broken man, acknowledging that it was, in effect, a courageous thing that Johnson was doing. Gingerich: Thank you very much. This has been an interview with Professor Roy Glauber about Robert Oppenheimer. It took place here in the Lyman Physics Laboratory at Harvard University.